Drew Barrymore has been an actress for almost her entire life. So when you sit down with her to chat about her wine business, you can expect to hear a few Hollywood-inspired metaphors. 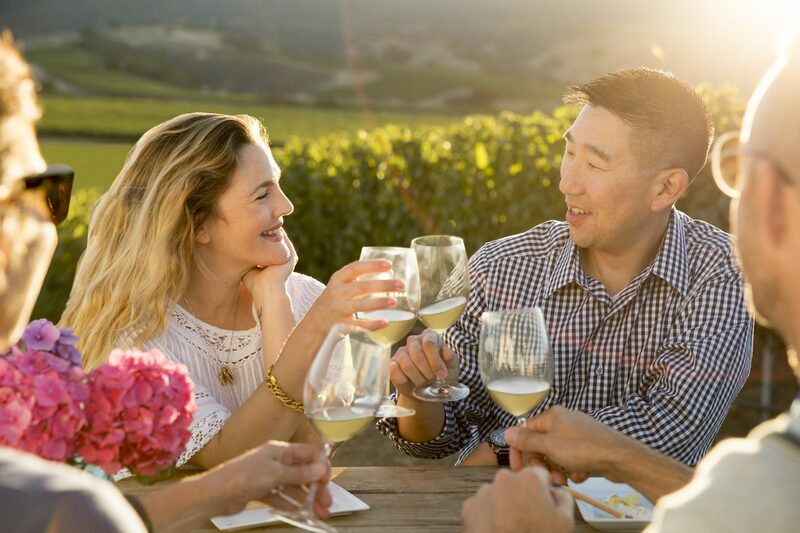 For example, when describing her relationship with Barrymore Wines winemaker Kris Kato, the Golden Globe winner explains, “He’s Oz, I’m the man behind the curtain,” referencing the classic The Wizard of Oz. While Oz may have been more bluster than actual magician, Barrymore and Kato are conjuring up some success in the wine industry. Last year, in a partnership with Jackson Family Wines, Barrymore released her first rosé—and it sold out quickly after a fairly limited production run. This year, a 2016 vintage generated a higher production run at just under 8,000 cases and is expected to sell strongly as well. With Jackson, Barrymore has also produced a Pinot Grigio and a Pinot Noir. They retail between $14 and $28 each. Barrymore is one of many celebrities to enter the alcohol beverage category. When a public figure backs a wine or liquor brand, the alcohol can get a sales boost by benefiting from free press when those celebrities go on talk shows or promote their brands to millions of fans on social media platforms. One common criticism, however, is that the celebrity isn’t actually too involved with the day-to-day business. Her wine-making partner Kato says Barrymore is more involved in the business than most would imagine, pointing out she helps make all decisions as it relates to the completed wine vintages and labeling. Barrymore also meets with the company’s sales team, doing what she calls her best “Willy Loman”—a reference to the fictional traveling salesman in the Arthur Miller play Death of a Salesman.